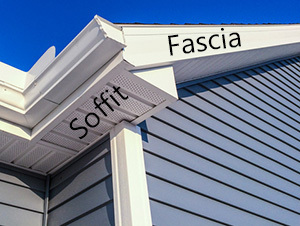 What Are Soffits and Fascia? A low angle view of soffit, gutters, downspout and vinyl siding on a new home. Blue sky is in the background. Soffits and fascia label the two parts of a roof overhang structure. A soffit is the space and/or material that creates a ceiling to the roof eave—the area between the edge of the roof overhang and the side of the building. The materials used for soffits and fascia can impact the health and performance of your roof as well as the esthetics of your home. Why Consider Metal Soffits and Fascia Panels? The underside of many roof overhangs are constructed of wood, which keeps out many pests. But wood soffits and/or fascia do not provide much ventilation and are vulnerable to water damage, rot and wind damage. Not to mention the need to paint from chipping wood and paint run lines. 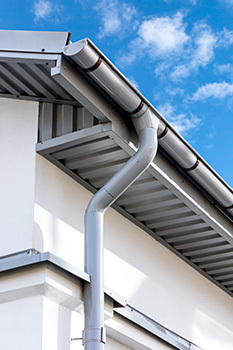 The durable coating on both metal soffits and fascia means you never have to paint again. Hollywood Roofing proudly uses premium roofing products from McElroy Metal, including Marquee-Lok Soffits. These metal soffits interlock and are held in place by concealed fasteners. 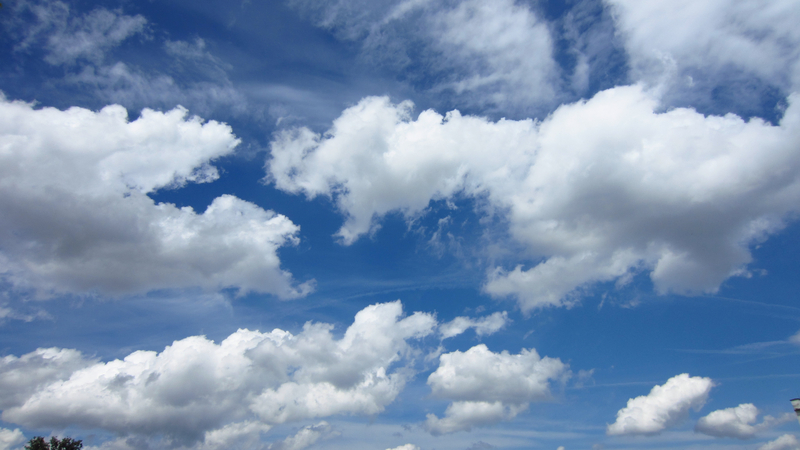 The result is a clean flat surface that offers the strongest resistance to suction forces created during high wind events. Marquee-Lok metal soffits come with an extensive manufacturer warranty, and we match it with a warranty covering our workmanship. If the soffits or fascia on your home are missing panels, showing signs of pest infestation or are simply looking drab because of rotting wood and/or flaking paint, Hollywood Roofing is ready to help. Contact us for a free estimate for metal soffits and fascia and a thorough inspection to determine if any other roof damage requires care. 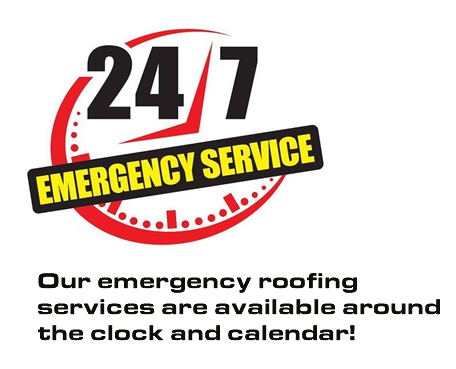 We offer competitive rates and the highest quality work of any roofing contractor in the greater Albuquerque, NM area. Don’t Forget Gutters! Call Hollywood Roofing at 505-821-9391 for attractive metal soffits and fascia that offer a rust-free lifetime for your Albuquerque, NM home or business.